I have been on this incredible healing journey for 7 1/2 years now, and one of the things that I have had to learn is “patience” in the process. The process is sometimes 2 steps forward, one step back, another step forward, 5 steps back, 2 more steps forward to sometimes another 4 steps back – but the one thing that never changes is that, no matter what, I always take step forward out of the harder steps backwards. I believe taking steps back is where the true healing happens, and the steps forward are the results of the healing to take more steps forward OR even in the steps backwards. Healing takes a lot of patience, and today my patience were put to the test in a big emotional hard and even painful way. I suffered from a trigger that took my 5 steps forward that I have worked so hard for and had me sitting for a moment wondering if I had the strength to take any steps at all today. It was a hard day for me, but I got back up and I am here awaiting the process to take me either way. I am not giving into the trigger to have me sit, I am standing awaiting whatever steps this takes me to next, even if its hard steps backwards that I believe are the healing to take more steps forward. In these moments it’s hard to have patience for the process of healing. It’s hard to see the light when you feel shadowed by the challenges and obstacles that healing can bring sometimes. 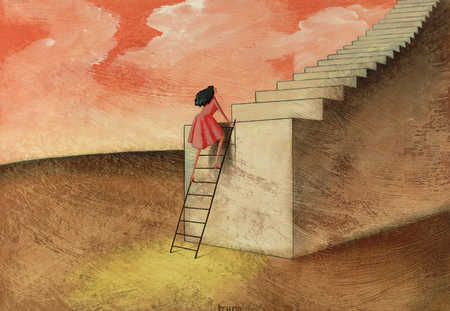 Sometimes its hard to have hope and belief that those steps backwards are the steps of healing and not the steps of losing the good connection that was here in those good moments of healing. It’s hard sometimes to trust in those moments of back steps because sometimes those moments of taking steps backwards don’t feel very good. These 7 1/2 years that I have been in therapy working hard and taking many steps forwards and backwards have been great steps both hard and good, and yet it still takes a lot of patience in the process of healing. Today I struggled hard, and I had to trust and have patience in the process that no matter how hard of a trigger got a hold of me, nothing has changed in the great steps I have taken thus far. Healing and working hard on this journey takes A LOT of patience in the process, in my support, in myself and most of all keeping that trust in God that he has my back through this. So.. as I sit here tonight after a harder day, I am putting trust and patience in the process knowing that it’s okay to feel the way I feel, and yet it doesn’t take away all the good hard work I have done, it just creates in me feelings and emotions that are hard to feel, and yet I am learning those feelings are okay and right. I felt frustrated today that what I wanted to feel and what I wanted the day to look like didn’t end up being the way I hoped, and that left me feeling sad, angry and maybe even a little frustrated. But what I know is this .. keep having trust in the process that I am connected, supported, loved and cared for. Keep holding the trust and patience in the process to know that all these steps are going forward even though they seem so very far apart sometimes. So tonight I choose to take this harder day and know tomorrow is another day and I may have some of the same feelings, but I have the ability to use my voice to continue taking steps in the healing direction – whether that be forward steps, or healing steps back. I’m sorry your day was so very difficult. I’m happy that you’ve communicated it and have come through with such a positive outlook. I often thank God that His mercies are new each morning. That with Him we can start a new day without regard to the day that is simply a breeze of a thought. Here’s to tomorrow, my friend. May it be blessed and peaceful. It is comforting that God is with us whether we seem to be making forward steps or backward steps.